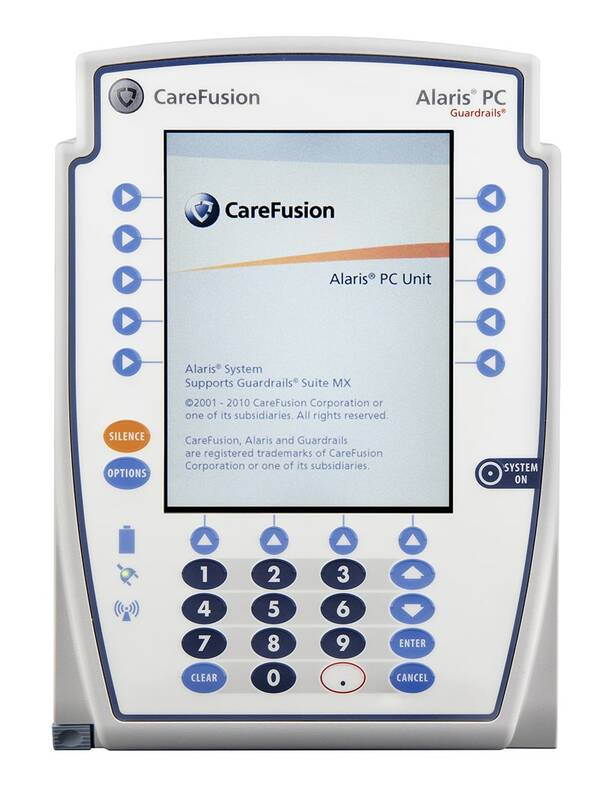 The Alaris 8015LS Point-of-Care Unit (PCU) is a large screen version of the standard 8015. It is the central core component of the popular Alaris System. The 8015LS provides a common user interface for programming the various infusion and monitoring modules, which aids in reducing the complexity at the point of care. It is intended for adult, pediatric and neonatal care in the hospital and healthcare facility. This PCU helps optimize infusion therapy and patient care by using the Guardrails software to measure IV formula data. The Alaris 8015LS in connection with the other Alaris System modules allows you to customize your infusion delivery. Overall, the Alaris 8015LS assists in improving clinical practices and patient safety. The large color display clearly communicates critical programming, infusion, monitoring and hospital-defined policy information. The wireless network card provides wireless communication capability between the Alaris System, Alaris Server, and Mobile Systems Manager. Med One has an extensive in-house inventory of the Alaris System from BD (CareFusion) to give you the best pricing, servicing and integration options to fit your facility.